Toyota attempted to break away from the self-driving car fanfare last month by announcing it would instead invest $50 million into creating “life-saving intelligent” vehicles that weren’t necessarily autonomous. Today, the company made it clear that it’s also pursuing the fully driver-less route, revealing plans to release a commercially available self-driving car by 2020. The year 2020 is gearing up to be a big one in the self-driving car market with automakers and tech companies like Google, General Motors and Nissan all reportedly planning to have such vehicles available by then, CNET reports. As for Toyota, the car company says it has already been testing a self-driving vehicle – dubbed the Mobility Teammate Concept – on one of Tokyo’s busiest expressways. The car, a modified Lexus GS, has so far safely and successfully changed lanes and merged into and exited out of highways without the help of a human driver, the company tells CNET. Toyota’s previously committed to investing $50 million in intelligent vehicles over the course of five years to establish joint research centers at Stanford University in California and at the Massachusetts Institute of Technology. The car company – which has been building industrial robotic devices for decades – said the investment wasn’t really about self-driving vehicles. Instead, it put the focus on combining the best of the autonomous car with one driven by a real human to improve users’ quality of life. At the time, the program aimed to create intelligent vehicles that would “recognize objects around the vehicle in diverse environments, provide elevated judgment of surrounding conditions, and safely collaborate with vehicle occupants, other vehicles, and pedestrians.” And that sounds a lot like an autonomous vehicle to us. 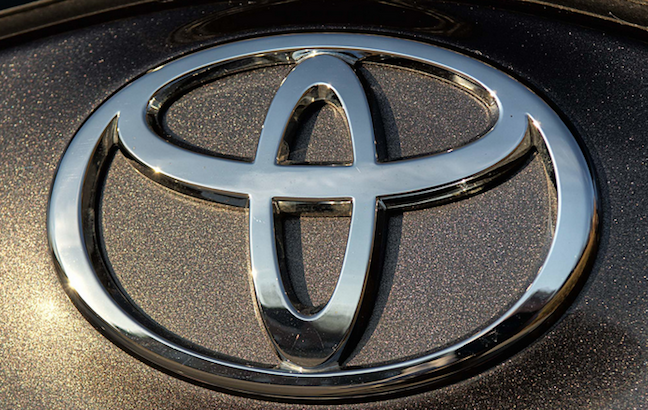 News of Toyota’s foray into commercially produced autonomous vehicles comes just two weeks after Apple announced it planned to beat everyone to the punch by setting a target ship date for its self-driving in 2019.